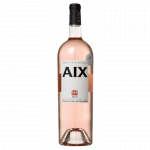 Maison Saint Aix is the maker of this Aix Rosé 2018 (£12.14), a rosé wine from the region of Coteaux d'Aix-en-Provence based on cinsault, garnacha negra and syrah of 2018. According to Uvinum users, this rosé wine earns 4 out of 5 points. - Nose: raspberry and spicy nuances of dried herbs in the background sweet. - Mouth: soft and fruity, tasty and lovely, with a slight hint of sweetness in harmony with the wine. clean and dry, with richness and long finish. APPELLATION: Coteaux d'Aix en Provence. VINEYARD: vineyard located 420 m above sea level and southwest, which allows you to receive around 300 days of sunshine. GRAPES: Grenache 60%, Syrah 20% and 20% Cinsault. PREPARATION: made from 70% and 30% direct pressing bleeding. Fermented at a temperature between 11 and 13ºC. PAIRING: pork, seafood, vegetarian and poultry. Smell of strawberry gum. Reminded me of burned wood and it was a pleasant taste. Round, harmonious with a long finish. A good rosé de Provence. One does not miss, if you ordered a few bottles here. Unfortunately, it did not match with food, although the wine was really ok. 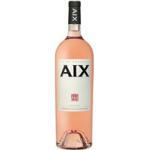 I like sharing this rosé Coteaux d'Aix-en-Provence with someone special. - View: pale pink seductive. 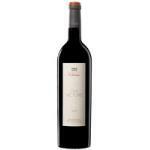 - Mouth: generous flavor, harmonious structure and a long finish. It would have been better with fish. It was part of a Corporate gift. It has a pale pink colour. Powerful aromas of strawberry and raspberry. I think it was correct. - Nose: fresh, delicate and fragrant nose, notes of watermelon, strawberries and flowers. 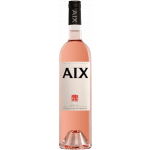 If you want to buy Aix Rosé 2018, at Uvinum you will find the best prices for Coteaux d'Aix-en-Provence rosé wine. At Uvinum, at the best price, 100% safe, fast and easy. We have more than 59.000 products for sale becoming this way the biggest company to sell wine, beer, and spirits online in Europe with over 38.000 clients trusting us.